What do you get if you combine Thanksgiving, American TV star Louise Lasser (Mary Hartman, Mary Hartman), killer 80s synths and some of the most gruesome special effects in all of slasher history courtesy of Ed (Terminator 2) French. Why, it’s Blood Rage of course! Shot in 1983 but not released until 1987, Blood Rage (re-cut and shown in theatres as Nightmare at Shadow Woods) is a gloriously gruesome slice of 80s slasher heaven now lovingly restored (in 3 versions no less!) 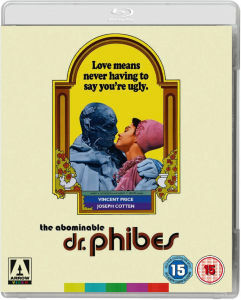 from original vault elements for its first ever official home video release.